Seen down in Colac late November was this Leyland/PMC. It has the seats removed and looks like it has been a long term project for conversion. A real good find...also along way from home the bus is. I agree with red baron - a really good find. One of the 18 Leyland B21 / PMC units that saw service with Darwin BS, and retaining much of its original appearance externally - quite remarkable. Yet, these 11/2010 images refute this, so presumably some sort of muddle has crept into the DBS list at some point. red baron wrote: ...also along way from home the bus is. The people in Colac, lucky they are. Drat !! Now you've got me doing it !! Such a tragedy to see a B21 wasting away. If the owner dont do something with it, i may have to see if he wants to sell it!! Its not a Howard Porter body but could certainly put it to good use!!! Leyland B21 wrote: Such a tragedy to see a B21 wasting away. If the owner dont do something with it, i may have to see if he wants to sell it!! Its not a Howard Porter body but could certainly put it to good use!!! I have seen that from the train in the past... it would make a nice preservation job. Leyland B21's with that wonderful GM roar is something i miss. As for the disposal info, as thats probably from the time i did such things, it was info gained from gunzel mags, contacts and random emails... no idea now. Isn't a Darwin B21 bendi around in Colac too? OLYMPIAN wrote: Isn't a Darwin B21 bendi around in Colac too? Can't recall where, but the ex. DBS Leyland-DAB (or is it DAF? What little information the internet provides is conflicting) is somewhere in Victoria, having seen service for "a time" with Hoys in Wangaratta. It was supposed to be a preservation project, but apparently that hasn't gone very far. This vehicle has a similar VIN to a Leyland-DAB once registered as CRM927T, so there's also the possibility of the engine being a Turbo-Charged 680. Have attached some photos I've pilfered; the first five from a Flickr poster by the name of "Zed Fitzhume," dated from 2012, the latter I cannot recall, but possibly from the ATDB via the InternetArchive. Look closely - can you see what appears to be an automatic transmission "Piano," in additon to a gear lever? Placement of the park-brake lever suggests the vehicle might've been delivered as a semi-auto. Photo from when this bus was in service with Hoys. Date & poster unknown. Last edited by Merc1107 on Fri Jan 18, 2019 3:04 pm, edited 1 time in total. Love love love. Great post. Notable front end differences between the PMC bodies in comparison with Perths Howard Porter bodies and the second batch Bolton bodies. I was actually unaware the B21 had a bendy body built. Found this one! It's in a field not too far from Sunbury. I've seen a picture of one of the other buses that it sits with, for sale at the same place, about nine years ago, but it looks like they may have not sold and all been moved together as I'm fairly sure that's not the site that they're at now. The rear end of the bus is very much like the Volvo B58 and B10M of Adelaide. The artic is a Leyland-DAB, and served with Darwin Bus Service as #34. Not sure when it entered service, but sometime in the early 1980s would be my guess given the PMC bodywork dates from 1980. It was in service until the early 1990s, recorded with a new registration around 1992 (maybe another operator after it's life with DBS? ), before being sold to Hoys in Wangaratta sometime around 1994. There were some photos further up the thread I shared some time ago of the vehicle. Some comments suggest it was converted from auto to manual (or vice-versa) - as there is both a manual gear stick and automatic selectors on the dash in those photos. Another person I've spoken to believes it was delivered as a semi-auto, given the park-brake control is on the left side of the dash. Last edited by Merc1107 on Fri Jan 18, 2019 3:07 pm, edited 1 time in total. 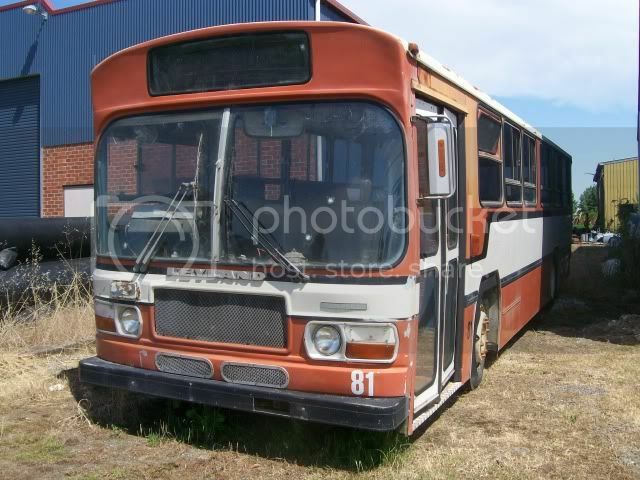 Anyone got any bus back shots of the PMC Sydney B21s? What a fascinating amalgam of a VoV body with a Leyland National. 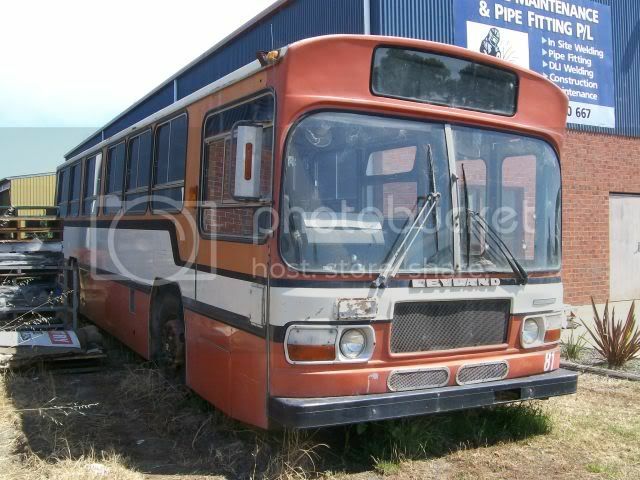 Swift wrote: Anyone got any bus back shots of the PMC Sydney B21s? 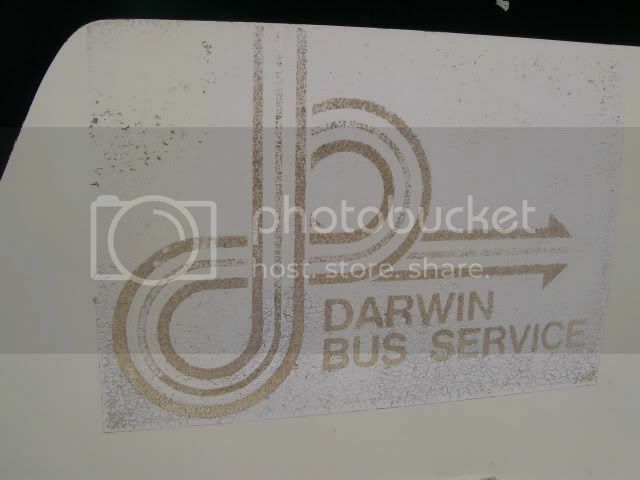 The Showbus website (https://showbus.com/australia/gallery/darwin.htm) has a few examples on the first couple of pages. A description of a photo I recently saw (from "Rattler," I believe) mentioned these B21s were a "B21/National front married to an adapted Mercedes-style body, in this case a Sydney version." I used to compare the Leyland National wraparound curved windscreen with the similar looking Sydney Mercedes mark IV square body version. To think the mark II Mercedes body indeed received a wraparound windscreen in the form of these 18 B21s for Darwinbus is quite extraordinary to me. Perth's B21s were effectively a Perth Mercedes 0305 body married to a National front. I notice the rear taillight panels of the Darwin B21s sit higher than the Sydney Mercedes 0305 counterpart and the bus in the photos have had square lamps fitted in place of the original round lenses. The British National styling blends flawlessly with the German inspired VoV body style to form an Anglo -Germanic bus.